Each and every visit is personalized for you and your needs, so no need to worry about which package is an exact fit, sometimes you might need a combination. Give me a call and we can discuss what package or combinations will work best for you. Below is a menu of services and how they work. These services are a great place to start, especially for those clients that are looking to establish an ongoing relationship. Initial phone consultation and link to an online questionnaire . Together we will determine your specific needs and goals. Consultation in your home. Together we will go through your closet and take it all out. We will only put back in items that item fit, flatter and make you feel good. We will talk about what works and what doesn’t and why. Items that do not work can be sorted into a donate and/or a consign pile. I will take any items you have for donation with me when I leave and I’ll provide you with the taxable deduction receipt. Price includes up to 3 hours in your home. Each additional hour in your home is $100/hour. Includes all of the Audit and Edit services mentioned above, PLUS I’ll reorganize and rearrange your closet so that it will be easy for you to get dressed and keep it organized. Price includes up to 4 hours in your home. Each additional hour in your home is $100/hour. Includes all of the Audit and Edit services mentioned above, PLUS I’ll take notes along the way of items you need to replenish, replace or add into your wardrobe. Keeping in mind your budget and your style, I’ll turn the list into your own online shopping catalogue. You can click and shop the photos or simply use them as a visual shopping list for items you need. The shopping list will be accessible via your very own app right you can download right to your phone. Have your list with you at anytime and anyplace. 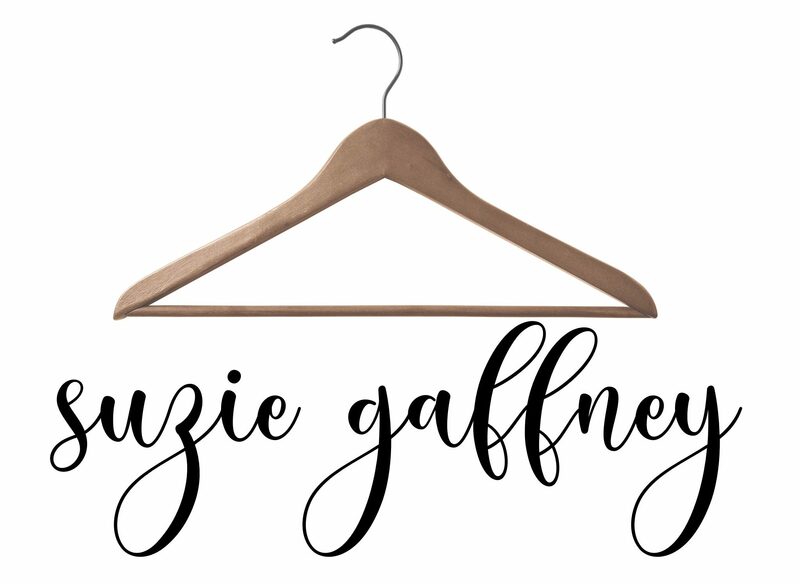 This is a great package for a client that really wants to update their wardrobe with some new purchases but doesn’t like to shop or know where to shop. Price includes up to 3 hours in your home, and you’ll receive your custom online shopping list. Each additional hour in your home is $100/hour. Includes all of the services above. You’ll have a well edited and organized closet, PLUS you’ll know exactly what you need to buy to finish making outfits out of your existing items. Price includes up to 4 hours in your home, as well as the link to your custom online shopping list. Each additional hour in your home is $100/hour. Already have your closet organized? Love your clothes but feel you have nothing to wear? Then I’ll come over and help you put together outfits based on what you already own. There are great pieces in there and I just need to show you how to mix and match them together. In just one session you will save both time and money that would have been spent out shopping for new clothes. Think of this as a way to give yourself an online menu of outfits to choose from, so you’ll always have a visual reminder of what to wear and where to wear it. I’ll to take photographs of each outfit. You can try each outfit on or I can lay it out and photograph the pieces together. Then you’ll receive a link to your own LOOKBOOK of outfits, complete with styling notes for how and where to wear each look. This link can be download to a customized app on your phone. Have access to your outfits options at any time anywhere you are. Price includes 2 1/2 hours your home and the link to your personal LOOKBOOK . Each additional hour in your home is $100/hour. Combines the editing and organizing with the Shop Your Closet package. This is ideal for anyone that feels they have too many clothes and doesn’t need or want to add in more clothes. Typically this service is completed over 2 in home visits. It can feel overwhelming to go through and edit every item in your closet, but the reward is worth it when we shop your freshly edited and organized closet to put together new outfits. Price includes up to 6 hours your home, and the link to your personal LOOKBOOK . Each additional hour in your home is $100/hour. Includes all of the services above. You’ll have a well edited and organized closet AND you’ll know exactly what you need to buy to make even more outfits with your existing wardrobe. Use the online shopping list to add new items into your wardrobe and then I’ll show you how to put the new items into your existing wardrobe by styling and photographing outfits for you. This is ideal for the client that is ready to get rid of a large portion their wardrobe and is ready to invest in some new pieces to fill back in but will want help with outfits. This package includes up to 2 in home visits. Price includes up to 6.5 hours in your home, your custom online shopping list, and the link to your own personal LOOKBOOK of outfits. Each additional hour in your home is $100/hour. Established clients will appreciate this time saving service. The best part is that you don’t even have to lift a finger unless you want to. Perfect for those with smaller closet spaces or clients who travel and need to make sure out of season clothes are always organized and accessible. Guaranteed to save you an entire day’s worth of work. When the weather changes I will bring out the clothes for that season and organize them into your closet, rearranging the space to be efficient for the current season. The out-of-season clothes will be organized and stored. I”ll let you know about anything that may need to be replaced or updated and send you a list. Includes up to 3.5 hours in your home. Each additional hour in your home is $100/hour. This is the perfect option for an existing client who wants to replenish their wardrobe but would like specific items to see and shop. Taking into account your current wardrobe, I’ll select new items for you to add to your closet to gain maximum versatility within your wardrobe as far as outfit options. The shopping list will be a visual click and shop so you don’t even ever have to leave your home. This pretty much means you have a personal stylist on hand at any time to give you an expert opinion about any thing from any where. You may just have a quick question, or maybe you just need some input on which outfit looks best on you, I’ll be there to get you the answer you need. This is perfect for when you don’t need a full hour of consulting or a detailed service, but you won’t have to worry about quick questions and texts. You’ll have access to me via phone, email or text and not have to worry about the cost adding up. Send me a selfie or schedule a face time and we will get you dressed, feeling confident and heading out the door! I’ll get back to you within 12-24 hours if not sooner. Think of this service as more of an organizational mission. Perfect as a gift for men, teenagers, and children, and, of course, yourself! Can be done with or without you. This is also great for clients who are getting ready to move and need to have their closets look neat and tidy, as well as for clients who need help figuring out how to organize a new or renovated closet. Need help with more than just your closet? I’ll tackle your dresser drawers, jewelry, shoes and handbags. More importantly I will make sure they are organized in a way that makes sense to YOU and how YOU live YOUR life. Your day starts with getting dressed and you deserve to have it be orderly and efficient. I’ll put together outfits based on your itinerary and streamline your packing so you will be able to unpack quickly and enjoy your trip. Enjoy the ease of referencing all of your outfits via an online link. I will make sure your suitcase is packed efficiently and within weight limits so you can travel worry free. Never stay up late the night before stressing about what to wear and how to fit it in ever again. Price includes up to a 2 hour in home visit, each additional hour in home is $100. Outfits and details, including accessories will be photographed and uploaded online. You’ll receive a link to your own online personal LOOKBOOK complete with photos of all of your outfits and as well as descriptions and notes on styling you can even reference on the go via a downloadable app on your phone. $ 100 per hour with client, $150 for a home delivery and pickup of returns. This service can be completed together, or I can do the shopping and bring it to you. I make it part of my job to build relationships with lots of different types of shops and stores. I do the homework to research the inventory so you don’t have to. I can even have the clothes pulled and ready for you in the fitting room. No time to shop or just don’t like to? No worries. I’ll take care of everything based on your budget and bring it to you. You can then try on in the comfort of your own home. Let me do the buying and returning so you don’t have to. Phone call or text conversation to determine what you are looking for and at what budget. Both options will have an link to an online personalized FINDS list, complete with links to specific pieces so you can click, shop and replenish, or simply reference the list wherever you go via a downloadable app on your phone, as well as a LOOKBOOK of outfit options using the items on the FINDS list. Shopping for selected items or outfit is available, including delivery directly to your doorstep or place of business is available. Please see PERSONAL SHOPPING DELIVERY for more info. Pricing varies depending on number of outfits needed – please contact me for details. Need an outfit idea for just one occasion or event? Maybe a family photo session or a wedding? Let me put together a link to looks created just for you. You will have your own Catalogue of ideas to click and shop from, all based around your budget and location. You never even have to set foot in a store! If you prefer to hit the stores, but don’t know what to buy, I can send you shopping lists for your specific destination. This service is an essential for planning outfits for family photo shoot sessions. Pricing varies depending on length of time and location – please contact me for details. Perfect for a party or a girl’s night out event. Totally customizable. Get together with friends for mini consults. Bring an item or items to the party and I can help answer your specific styling questions. Can be done one-on-one or in a group. Can be combined with a single group presentation on various topics (Closet Essentials, Wardrobe Essentials, Shopping Tips and Tricks, etc.). This can be held at your home or any location of your choice. Gift certificates and/or gift baskets are available for all of the above services. Give the gift of a clean closet and a fresh take on style!